Partha Ranganathan, a distinguished engineer at Google, will speak on the “End of Moore’s Law: Or, a computer architect’s mid-life crisis” 3:10 p.m. Wednesday, April 4, in the Engineering Teaching/Research Lab 101. The durable, vitrification techniques used to build impenetrable 5th century fortress walls are being studied for potential use in containing nuclear waste. A Washington State University Tri-Cities professor aims to pinpoint underpinnings of evolutionary success by analyzing the skull morphology of a handful of fish species. Geographic literacy in elementary schools sparked by PuzzleMap, a program developed by WSU Tri-Cities professor and her father. A documentary film premiere that explores the field of STEM education will be presented March 26 at WSU’s 43rd Annual Edward R. Murrow Symposium. Harvard researcher and lecturer Irene Pepperberg, an international expert in animal cognition and communication, will present the 2018 Robert Jonas Lecture in Biological Sciences, Tuesday, March 27, at Todd Hall. WSU’s science-loving cartoon cat, Dr. Universe, is hosting a STEM supply drive for Palouse-area schools to help kids discover how much science rules. Learn how you can help. Technology being developed at Washington State University could help save amphibians around the world from a deadly fungal pathogen. Luana Lins, a postdoctoral researcher in the School of Biological Sciences, is fresh off a month-long Antarctic visit studying polar organisms. Dr. Universe: How do we get our personality? WSU psychologist Chris Barry helps Dr. Universe tackle how our personality takes shape. WSU researchers awarded $1 million from the W.M. 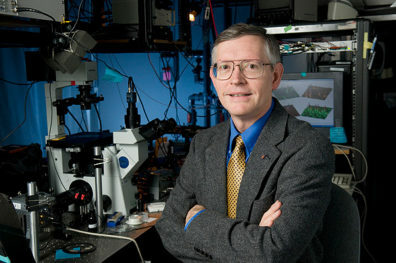 Keck Foundation to develop molecular machines that self-replicate material. Dr. Universe: Why do cows moo? Just as each person’s voice is a little different, so is each cow’s moo. Amber Adams-Progar, WSU animal scientist, helps Dr. Universe tackle this kid question about animal communication. Tamara Holmlund and others are part of a project to improve STEM teacher preparation in Washington state, increase recruitment of qualified and diverse STEM students into teaching. Projects include an autonomous vehicle that analyzes radioactive vapors to protect Hanford workers and ultra high-performance concrete to safely immobilize solid secondary wastes.